Finally the most awaited Super Mario Run game is now official available for Android. Here we share a direct link to Download Super Mario Run App for Android Phones. Super Mario Run was released for iPhone in December 2016, and now Super Mario Run game is live in the Google Play store. Super Mario run is a new kind of Mario game that you can play with one hand. You control Mario by tapping as he constantly runs forward. Download Super Mario apk from below. Just like Pokemon Go, Super Mario run receives so much hyped even before it’s release. The game is now available on Play Store but many users in different countries not able to install Super Mario Run game on their device. The easiest way install the game is to download Super Mario Run apk and install it on your device to play Super Mario Run right now. So if you are a fan of the game, then Download Super Mario Run App for Android from below and start playing. The game features 24 levels in its World Tour mode and multiplayer challenges in its Toad Rally mode. There are playable characters like Peach, Luigi, Yoshi and Toadette where Players can collect items and decorate their own Mushroom Kingdom with the Kingdom Builder mode. 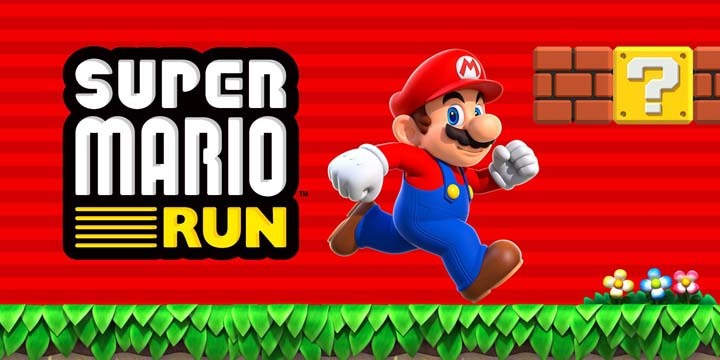 The Android version is identical to an iOS version where Super Mario Run can be downloaded for free, and you will be able to play all the modes with no additional payment required. You can purchase other modes to play further but you can try out all three modes before purchase: World Tour, Toad Rally, and Kingdom Builder. Download Super Mario Run App for Android Phones from below. First download SuperMario Run apk from above. Install Super Mario Run apk. Now open the app and follow the on-screen instructions. So this is the easiest way to download Super Mario Run App for Android Phones in countries where it still not available. Download the app and share it with your friends.